If you want to write an article about Checkbot, this page contains background information, logos and assets you'll find helpful. Please contact us if you need more material than what's here or have any questions. Open beta released on 1 February 2018. Checkbot is a Chrome extension that works on Chrome OS, macOS, Windows and Linux. 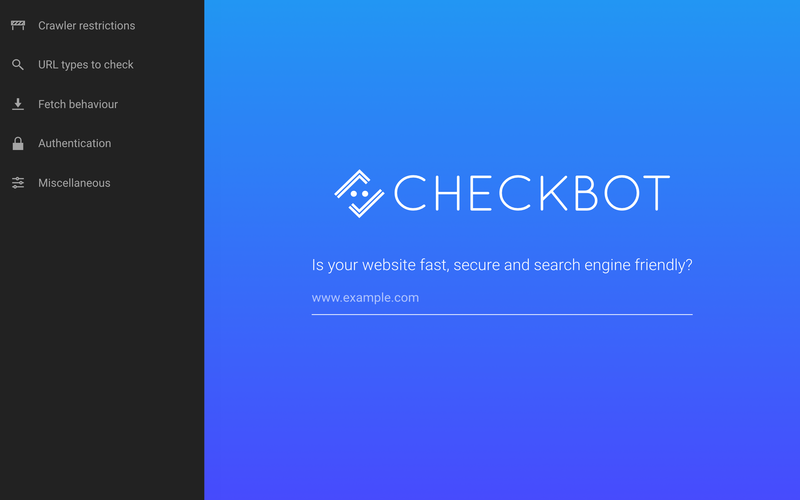 Checkbot browser extension: SEO, speed & security tester. Boost your SEO, speed and security: Checkbot will guide you on how to improve your search rank, accelerate your page loading and harden your security to make the most out of your site. 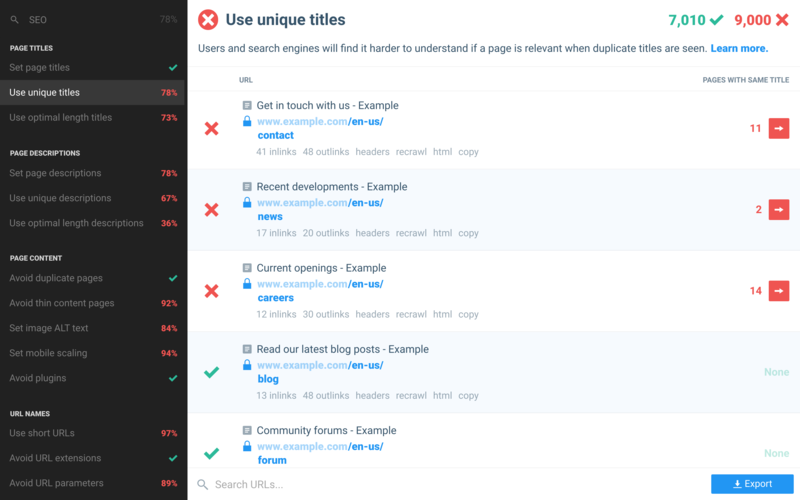 Check all the sites you work on: Checkbot lets you crawl unlimited sites as often as you want so you can check every site you’re involved with after you make changes to keep on top of issues. 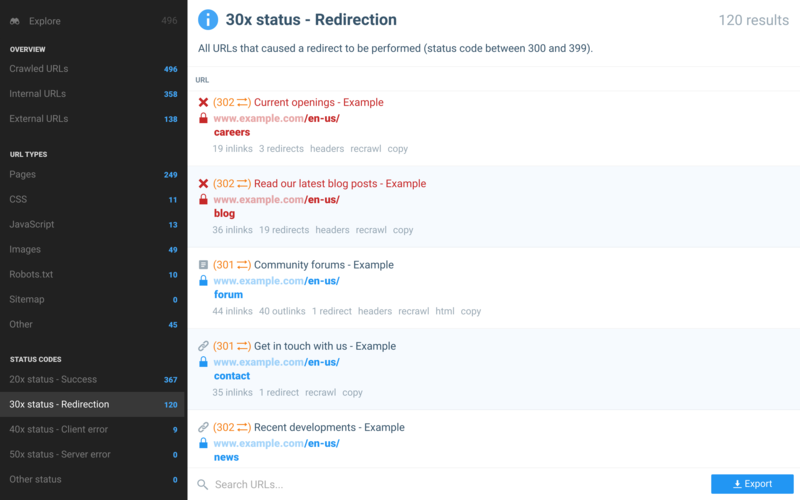 Stop problems before they go live: Test staging and local development sites with Checkbot to catch critical issues before they impact your users or search rank. 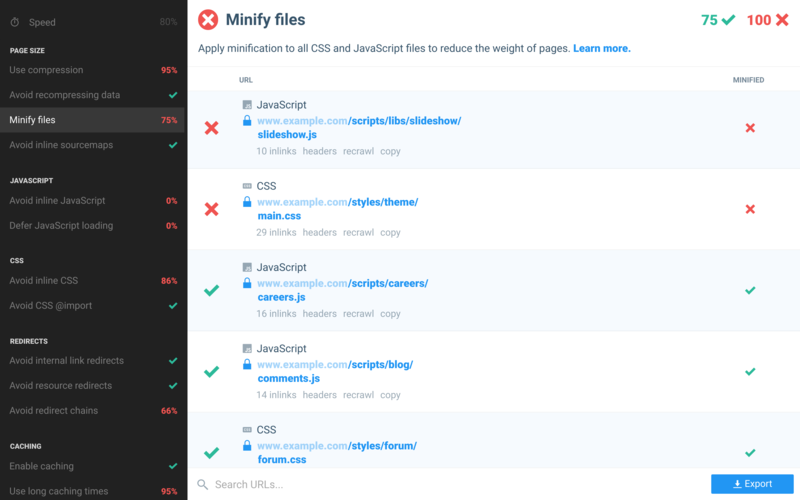 Save time on manual testing: Checkbot will effortlessly and reliably test 100s of pages for you in minutes so you don’t have to do tedious manual checks yourself. 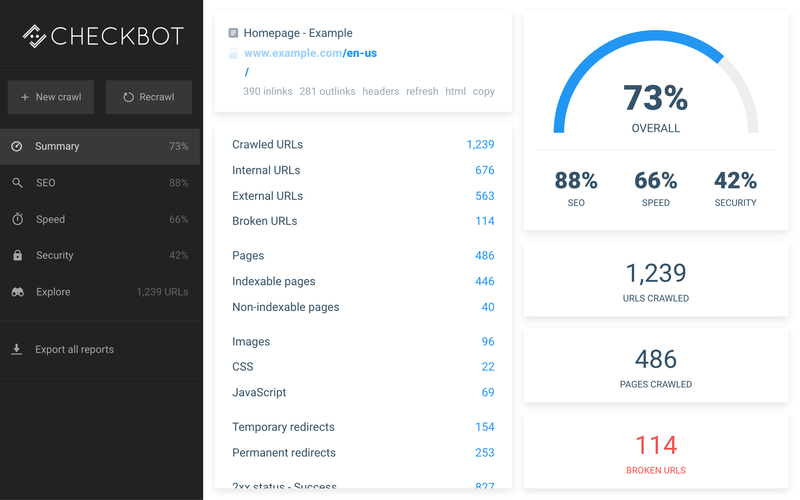 Uncover hard to spot problems: Checkbot’s ability to rapidly and comprehensively test 100s of pages will reveal problems on your site in places you didn’t think to check. Get immediate feedback: Don’t wait days for your search results or Google Search Console to update. 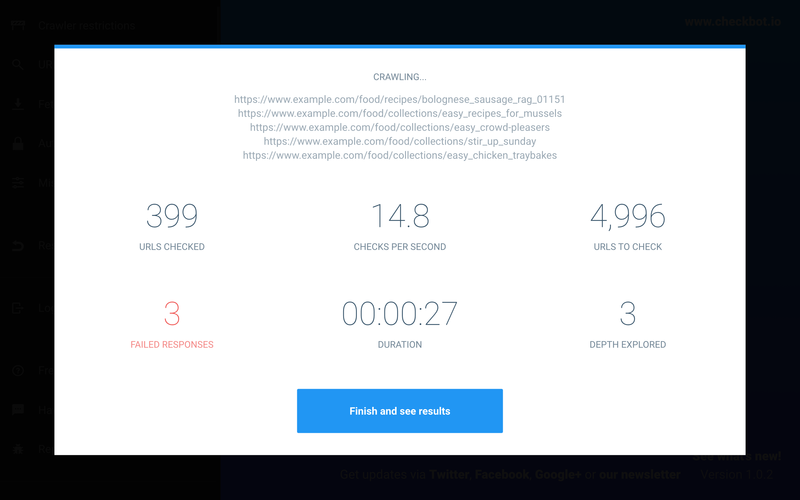 Use Checkbot to get instant feedback on the impact of your website changes. 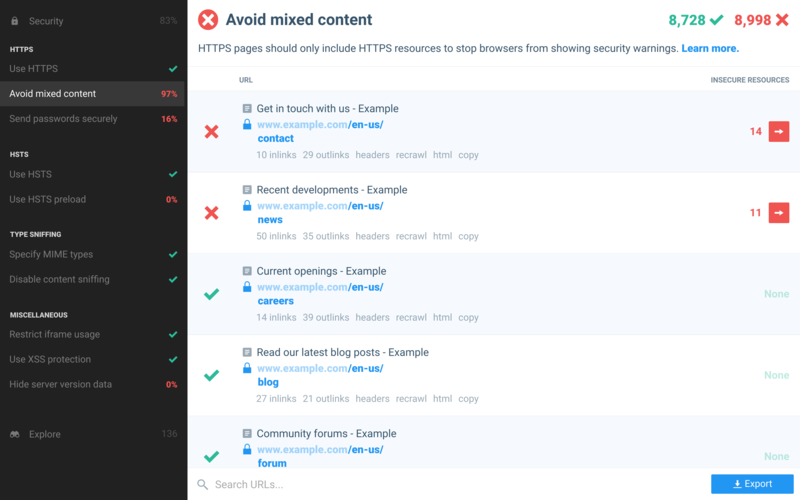 Investigate issues: Track down problems with convenient shortcuts to display incoming links to a URL, page source code, URL response headers, redirect chains and more. Check private & local sites: Check your site in all stages of development by crawling staging and local sites, password protected pages and sites on private networks. Customise crawls: Focus your testing on the parts of your site you’re currently interested in. Limit the URLs crawled by subdomain, subfolder, search depth, pattern and type. PDF reports: Create eye-catching PDF reports that give a summary of the health of a website. Use these to track progress within your team and to win over new clients. Export to CSV: Export lists of URLs with problems to CSV format so you can share the data with team members, compile custom reports and perform your own further analysis. In-app guidance: Checkbot contains detailed help that explains what problems were found, why they should be fixed and how to fix them so you don’t need to be a expert. Quick & easy to install: Add Checkbot to your browser in seconds with a few clicks to use alongside your favourite web development tools. Love this extension! Shows me everything relating to my website (redirects, alt tags missing, sitemap, safety, and more!) and allows me to make sure I’ve done everything possible for a client. Really slick, took me less than an hour to compile a list of things we had overlooked in our rush to launch. As a product manager, I really appreciate it. This makes checking to see if [there’s] errors on websites that I’m working on a breeze. … I am so glad that I found this wonderful tool. I love this tool, as someone who’s relatively new to SEO I need all the help I can get. This tool is absolutely amazing for showing you what you need to improve. Checkbot was developed by freelance app developer Sean Wilson from Edinburgh, UK. While working as a consultant on web projects over several years, Sean built up a collection of small tools to automate away tedious and unreliable manual testing that had to be done day-to-day to identify and fix website issues. These tools were eventually combined and expanded upon to create the Checkbot browser extension. Checkbot aims to be a comprehensive and user-friendly web development tool that makes it easy to follow current SEO, speed and security best practices for websites. "Checkbot is an easy to use but powerful tool that any website developer needs in their arsenal...definitely worth a recommendation"
"...Checkbot is a great bit of kit for optimizing a website, and a useful tool for introducing new SEOs with little or no experience to audit websites. The pickup and play nature of it plus the modern UI will appeal to many people in the industry and the fact that it is very easily accessible via Google Chrome is also another bonus." Review: "Efficient, modern-looking, surprisingly flexible, in short, one of the best tools for website optimization", 5 out of 5. Please contact us if you need any more information, assets or other material.